Oh my word! I've said it before & I'm going to say it again: blogger friends are the best kind of friends! There is just something so powerful about getting together with a group of like-minded people.....people who share the same interests and passions as you. The energy is palpable. If you haven't been to a meet up, and an opportunity comes up....jump at the chance! You will not regret it! 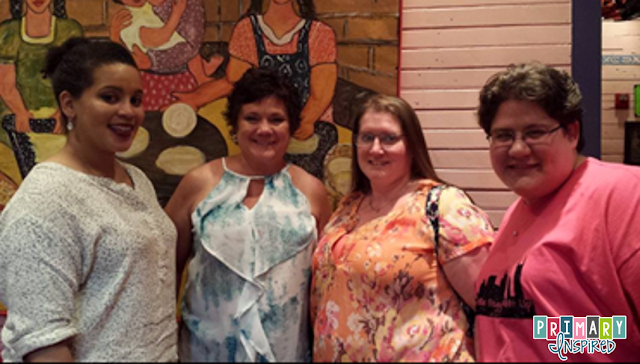 Last weekend, I got to hang with some of my blogging besties in Nashville, Tennessee. 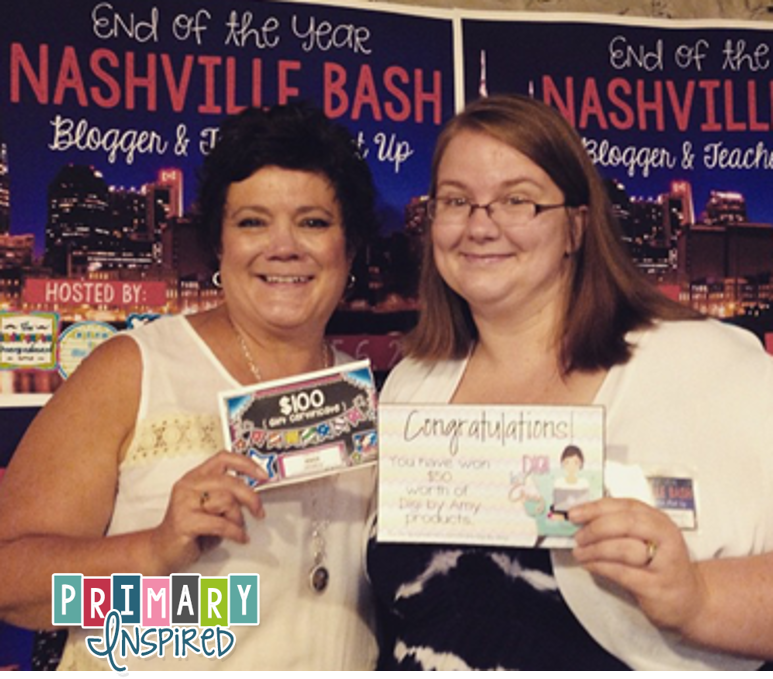 #nashteacherbash! Friday night, several of us hung out at the Nasville Sounds game. Thanks to GoNoodle for providing the awesome cool shades for us all! (My kiddos are going to be SO jealous!). I met several new friends at the game...we had so.much.fun! And to top off the evening? Some pretty spectacular fireworks! 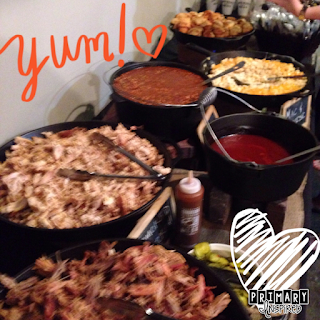 Saturday, we all met at Atmalogy for some meet & greet, connecting, chatting, & some DE.licious Jim & Nick's BBQ! Check out this spread provided for us by GoNoodle!! BIG thanks to them for their generous support! Love GoNoodle! Oh my gosh, y'all....this food was SO delicious!! Not lyin'! Do you see that mac & cheese right there? Seriously the best mac & cheese I've ever had...amazing!! Kudos to our hosts for organizing everything! I know it was a pretty big job to be doing at the end of the year which is crazy on its own! They contacted sponsors & collected an awesome array of fabulous-ness that was donated. I've got to tell you that I won a pretty swEEt prize: $100 from the awesome Teaching in the Tongass. I'm NOT going to tell you what the secret strategy is that I use to win these "put your name on a slip of paper" drawings. But I WILL tell you that both my friend Kenzi & I use the same strategy....and not only did we both win, our names were drawn out one right after the other. We are totally thinking of doing a STEM project based on our secret strategy....so you may or may not learn the secret at a later date! Ha! Saturday evening we all met up at Chuy's for dinner. This time we split into smaller groups. We had some wonderful dinner conversation! It's amazing how much alike we all are! Afterwards, we all walked over to tour around the Opryland hotel. Simply beautiful! 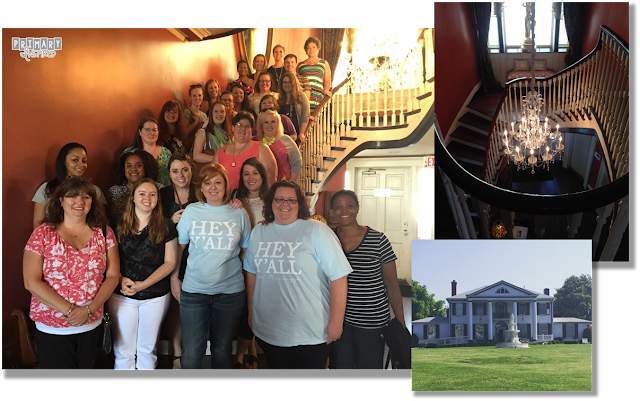 Sunday morning, we met at Monell's, a lovely old manor home that's been turned into a restaurant. The entire ground floor is filled with long tables. They have a lovely buffet of wonderfully delicious food...and it's all served family style! Our group took up two tables...the tables are that big. Our server brought out baskets, platters, & big bowls of everything you'd ever want for breakfast: fresh cinnamon rolls and fluffy biscuits, gravy, scrambled eggs, bacon & sausage, pancakes, grits, corn pudding, potatoes, and even fried chicken! Mmmm! Can't wait until we all get to get together again! Plans are already in the works, people!